Everyone will have a chance to thank — and pray for — farmers, farm families, rural businesses and rural communities at the annual St. Isidore the Farmer feast day celebration at noon on May 16 at Christ’s Peace House of Prayer, 22019 Meagher Rd., about two miles southwest of Easton. Since the traditional feast day falls this year on Pentecost Sunday, the observance of the feast has been transferred to the following Monday. 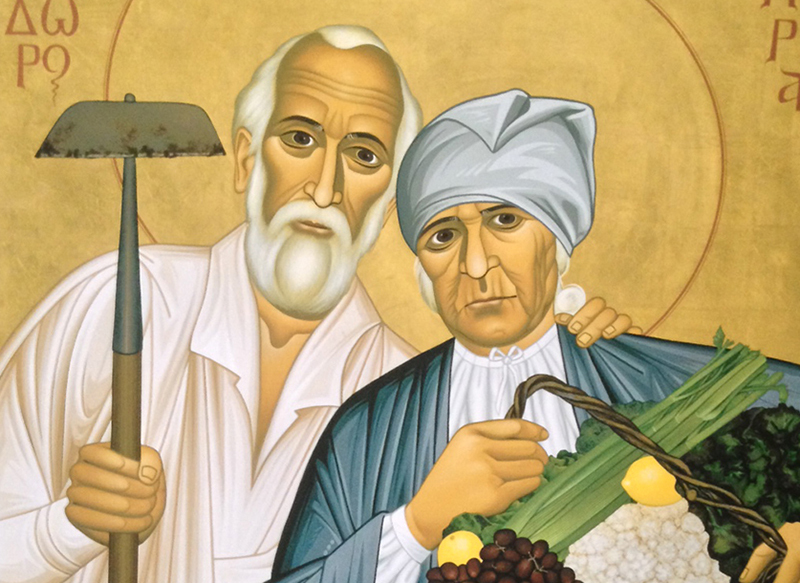 St. Isidore and his wife St. Maria are the patron saints of farmers. At one time, the celebration of their feast day each spring was very popular in rural communities. Christ’s Peace director Vince Eimer decided to revive the tradition and hosted the first St. Isidore’s celebration last year. The celebration will begin with a Mass in the chapel, followed by a short procession to an outdoor shrine dedicated to Sts. Isidore and Maria. There will be prayers for intercession at the shrine, followed by a return to the main building and a luncheon. The lunch is free, but Christ’s Peace needs to know how many people to prepare for, so interested parties should contact Eimer at (914) 773-8255, or by email at: info@christspeace.com.